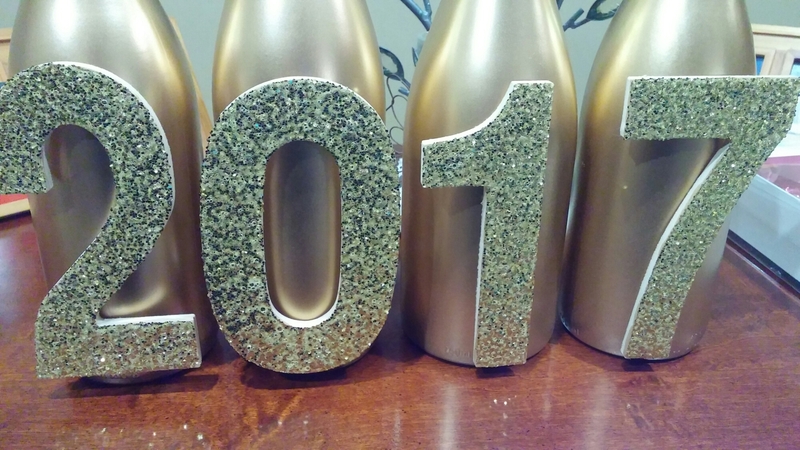 Our family always has a New Year’s Party and this is a super cute and cheap way to decorate! We had almost everything we needed already sitting around our house! 2.) 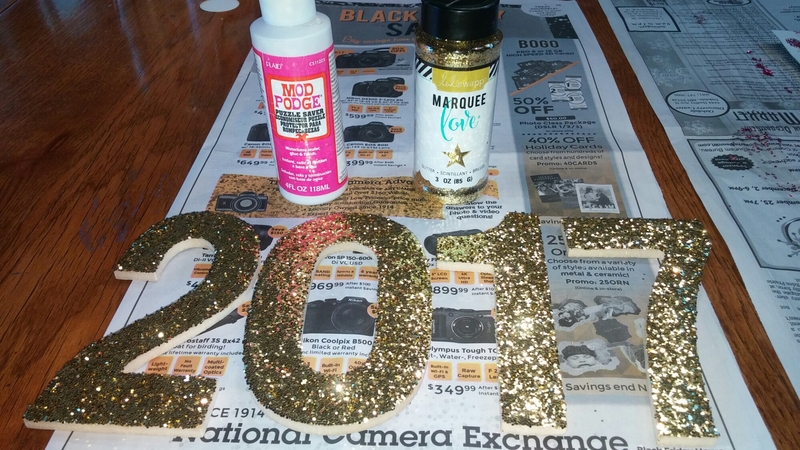 Next you need to go over the numbers again with mod podge otherwise the glitter will fall off every time they are moved. 3.) While the numbers dry take your wine bottles and peel the labels off. If they are hard to get off soak them in room temperature soapy water they should then scrap off really easily. 4.) 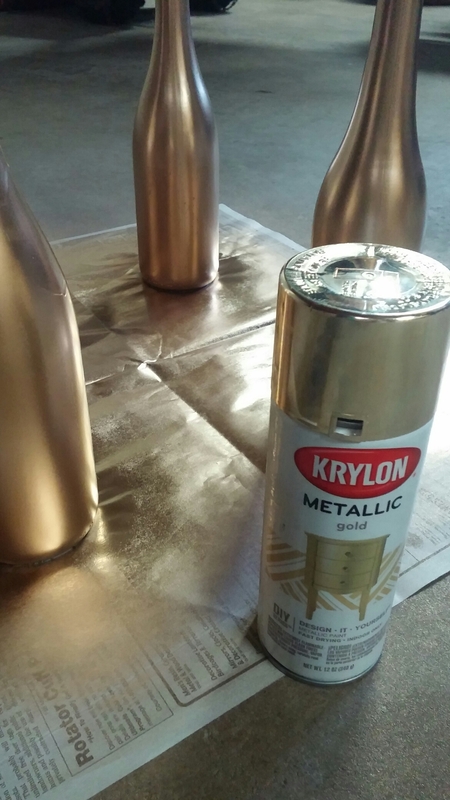 Once the labels are off spray paint the bottles gold. You should not need to many coats; we only used 2. 5.) Next hot glue the letters on to the painted wine bottles. Only put hot glue on the part of the letters that that will touch the bottles. You don’t need much hot glue to keep them on securely. 6.) Next take your ribbon and cut strips of varying length. (We have a range from about 1 bottle length to 2 bottle lengths) Then use scissors to curl them. 7.) Finally hot glue your ribbons inside the very top of the bottles, and that is it.